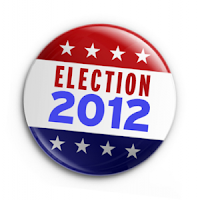 2012 is an extra exciting year for the United States... we have the opportunity to choose our next president! This can be a great opportunity to discuss bias in information sources with students. While many sites aim to inform, many others are working hard to promote their candidate and ideas. It can be difficult even for experienced adults to find the clues that a website or resource is being less than honest about their agenda. When we know the purpose behind an information resource, we can better evaluate it for our needs. Following are just a few links to great resources to help you begin planning how to incorporate the election fun in your classroom. National Student Mock Election: Resources and tools to develop a mock election in your classroom. NY Times Election 2012: Teaching Ideas and Resources: This great resource includes activities related to biographies, math, writing, research, debate, and more. Links to lesson plans and previous election data. Education World Primaries, Voting, and Elections: Great collection of lesson plans and activity ideas. The IDEA Guide to the 2012 U.S. Presidential Debates:Written for high school, this book analyzes the role that the presidential debates play in the election and identifies specific issues that Obama and Romney could discuss, providing introductory context and explaining both candidates’ positions. C-SPAN's New Electoral College Map Poster: Printable maps and associated lesson plans on the Electoral College. Scholastic Election 2012: Informative articles, live reporting by kids, and fun games. On the Road to the White House game is great for older elementary and even middle school students, challenging students to test their knowledge of the US political system.